“Discovery” is the process we use to identify and collect information and documents relevant to the issues in your case. As with every other aspect of your case, at Cordell & Cordell, discovery is a team effort. The first step in our discovery process is to meet with our clients to conduct an in-depth interview about everything from your child’s school attendance to the vesting schedule of your corporate stock incentives. This foundation helps us use the various discovery tools more effectively. The discovery tools typically available in a family law case are: interrogatories; requests for admissions; requests for production of documents; subpoena duces teca; and depositions. The first four tools are written requests for information sent to either the opposing party or a third party, like an employer or creditor. A deposition typically is not written, but rather an in-person, real-time exchange of information. An interrogatory is a written question used to collect all sorts of information. Attorneys can ask about everything from bank account numbers to the other party’s reasons for saying that she should have primary custody. A request for admission is a written demand that the other party either admit or deny the truth of a specific statement or the authenticity of a specific document or recording. These requests can be powerful tools. When used properly, they can cut right through to the heart of the matter. For example, a request for admission might state, “Admit that Petitioner is a fit and proper parent to have custody of the children.” The opposing party would then have to either admit or deny the statement. If she denies the statement, then she will be required to provide her reasons for denying it. Further, the law in many states provides that if a person denies the truth of a fact that is later proven to be true, then that person can be made to pay the cost of proving the statement’s truth. The threat of legal fees is a powerful incentive for parties to a litigation to acknowledge the truth, saving everyone time and money. A request for production of documents is exactly what it sounds like: a demand for a specific document or set of documents. For example, your attorney may request the other party’s text messages, emails, medical records, bank account statements, employment contracts, tax returns, etc. An attorney can also request recordings and photographs. A subpoena duces tecum is a request for the production of documents, photographs or recordings from a thirty party, meaning a party or entity (like a corporation) who is not a party to the suit. For example, if your attorney thinks that the opposing party has received a bonus at work, or has been disciplined at work, he or she can request those documents directly from the employer, rather than trusting that the opposing party will provide you with all of the requested documents. A subpoena duces tecum is a great way to follow up on partial or incomplete discovery responses. A deposition is the act of forcing a person to sit down with the attorney and a court reporter and answer questions that are relevant to the case. Prior to answering the questions, the person is sworn to tell the truth, just like he or she was testifying in court. After the deposition, the court reporter prepares a transcript that can then be used at trial to impeach (attack) the person’s testimony. Proper preparation for trial includes all of these tools. Here is how the process works. First, you meet with your attorney to discuss the facts of your case. Don’t filter yourself. Instead, let your attorney know about everything that might possibly be relevant to your case. Then, your attorney will draft a set of discovery requests, including interrogatories, requests for admissions, and requests for production of documents. When the other party responds to those requests, your attorney will address any deficiencies in the responses and issue a subpoena duces tecum as appropriate. Once your attorney has reviewed the responses, he or she will depose the other party and any third party, as needed. The point of discovery is to avoid surprises at trial. Family law cases should never be a gotcha game. By the time you go to trial, you should know everything the opposing party is going to say, and every document she plans to show the court. Proper use of these discovery tools is how your attorney will avoid surprises and build your strongest possible case for trial. 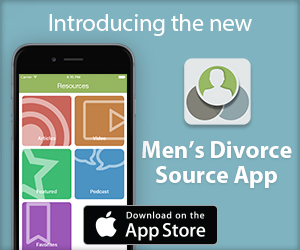 If you have any questions about the discovery process, contact a men’s divorce attorney in your area.